On Designated Survivor Season 2 Episode 2, members of the Homeland Security Council threaten to derail plans as Agent Wells finally closes in on Patrick Lloyd. With Patrick Lloyd discovered to be roaming around the nation's capital, Wells and the team try to pinpoint his location. President Kirkman updates members of Congress on the developments in Lloyd's case, while trying to get ready for the White House Correspondents dinner. Members of the president's staff become worried that Seth's jokes for Kirkman won't be funny. 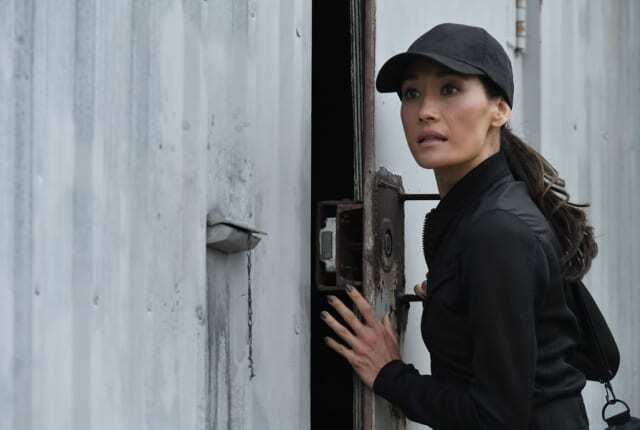 Agent Wells and her new partner Damian bring Patrick Lloyd's estranged son in, who confirms that the mad man is in town. Lloyd makes a statement by breaking into the home of the First Lady's mother. The FBI discovers that Lloyd has a secret patch of land, where he is hiding an underground bunker. Wells chases Lloyd into the bunker, but he threatens to release sarin gas on the population of Washington, D.C., if his demands are not met. With all options on the table to take out LLoyd, Aaron finds himself up against an unlikely adversary when the White House team plans to use a tactical drone against Lloyd. Aaron ultimately wins the court battle, but it turns out Lloyd was bluffing about the sarin gas, and the President may have committed a constitutional violation for no reason. Instead of dwelling on his mistakes, Kirkman takes the opportunity to address the nation to inform them that the country has been victorious in eliminating the person who orchestrated the Capitol bombing. Because of the events of the day, Seth is off the hook for his horrible humor. In the aftermath of the drone strike against Lloyd, as federal agents comb through the rubble, it is discovered that Lloyd made a mysterious upload onto the government network right before his death.